The Flint River turned out to be a disastrous choice of a water source for the city that shares its name. But its condition was hardly a secret before the switch from treated Detroit water was made. In the days, weeks and months leading to Flint’s tragic change of drinking water sources, experts expressed numerous misgivings about the switch. But with cost concerns among the driving factors, the Flint River plan flowed ahead – directly toward disaster. Missed warnings about the Flint River are detailed in more than 20,000 pages of Flint-related emails and documents released last Friday by Gov. Rick Snyder’s office. Chief among them: Two days before former state Treasurer Andy Dillon formally recommended moving Flint off Detroit water, a Michigan Department of Environmental Quality drinking water safety regulator warned that using the Flint River would pose increased public health risk, including a higher risk of exposure to carcinogens. Bridge’s Michigan Truth Squad today publishes an expanded Flint water disaster timeline with many new entries based on the latest records made public by the Snyder administration. Timeline readers can now consider the context of two public health crises – lead exposure and Legionnaires’ disease – which rapidly developed side by side after the switch to Flint River drinking water. This report recounts, in chronological order, missed warning signs about the Flint River as now detailed in the full Flint water disaster timeline. A forgotten report from 2004? For many years, the city of Flint bought treated water from the Detroit system. At the same time, the city’s water treatment plant retained access to the Flint River for emergency backup purposes. But water-safety regulators have long concluded the river is far from an ideal drinking water source. This 2004 report did not appear to be a significant consideration among officials discussing the river option a decade later, at least not according to state email records released last week. In fact, a veteran MDEQ engineer responsible for Flint drinking water oversight initially said he didn’t know if such a report existed when he was asked about it in email in early 2015, nearly a year after the Flint River switch. Flint and Genesee County officials long discussed how to move away from Detroit water, for cost savings and to have local control over the region’s supply. The Karegnondi Water Authority was envisioned to supply Lake Huron water to Genesee County, Flint and other communities far north of Detroit. But the KWA is not scheduled to come online until later in 2016. 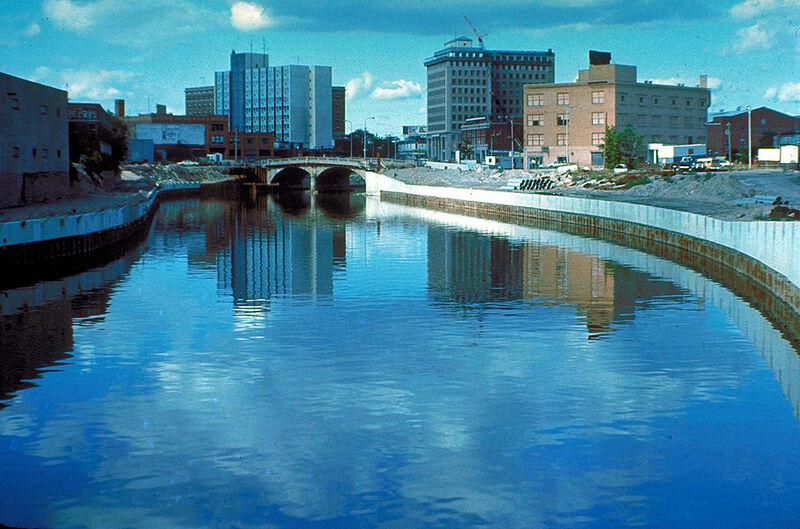 Long-running disputes with the Detroit system ultimately led Flint’s state-appointed emergency managers and local elected officials to turn to the Flint River for a short-term solution. Water-safety officials raised concerns, but none seemed to reach anything approaching red-flag status. Instead, those same experts seemed to think the river’s quality issues could be overcome through treatment. In July 2011, a Rowe Engineering report analyzed the Flint River as a permanent water supply. It would require more treatment than Lake Huron water, and the river water “aesthetics” wouldn’t be as good, but the river “can be treated to meet current regulations,” Rowe concluded. The Rowe report did not predict the highly corrosive, discolored, smelly and ultimately contaminated water that would eventually flow through the taps of Flint homes. As the talks leading to Flint’s break with the Detroit water system intensified in early 2013, concerns bubbled quietly in the depths of MDEQ. In January 2013, MDEQ District Engineer Mike Prysby emailed his colleagues about the prospect of switching to the Flint River. Prysby raised concerns about the need to soften the river water and the possible need for “advanced treatment” to ward off potential contaminants. “I agree that the city should have concerns of fully utilizing the Flint River” for 100 percent of its drinking water supply, Prysby wrote. Two months later, Prysby’s colleague, Stephen Busch, was considerably more pointed when asked to participate in a state assessment of Flint’s future water options. And so Flint, with state supervision, soon began the formal process of switching to Flint River drinking water, flipping the switch in April 2014. The change also launched the crisis that has resulted in lead poisoning; water safety violations for potentially carcinogenic trihalomethanes; a suspected link between the drinking water and a Legionnaires’ disease outbreak which killed nine people; lawsuits; and numerous investigations, including criminal probes by the Michigan attorney general and federal authorities. The regulator who raised those March 2013 concerns, Busch, has been suspended over the Flint crisis. Wyant, who was copied on Busch’s March 2013 concerns about the Flint River, resigned in December over the Flint crisis. On March 26, 2014, MDEQ’s Busch told colleagues that the agency had a lot to talk about before the impending Flint River switch. A month before the switch, key MDEQ water safety officials were just getting their arms around that regulatory “gray area.” Nearly two years later, after the Flint debacle unfolded, MDEQ Director Wyant would blame departmental “inexperience” for a crucial failure of oversight. MDEQ failed to require corrosion control treatment after the switch, and the agency held tightly to its regulatory misread for months as corrosive river water ate into old distribution lines, allowing lead to leach into the city’s drinking water. Despite their internally expressed trepidations, MDEQ regulators thought the Flint River could work until the KWA water came online. It was a waiting game. Busch said as much on April 23, as he drafted departmental talking points by email right before Flint made the switch. “While the Department is satisfied with the City’s ability to treat water from the Flint River, the Department looks forward to the long term solution of continued operation of the City of Flint Water Treatment Plant using water from the KWA as a more consistent and higher quality source water,” Busch wrote. Yet Busch’s positive spin came a week after chilling disclosures from deep within the Flint Water Treatment Plant. On April 16-17, 2014, just days before Flint flipped the switch, Michael Glasgow, the laboratory and water-quality supervisor at the city treatment plant, sounded a series of alarms in emails to MDEQ regulators. A day later, Glasgow told MDEQ regulators the Flint water treatment plant would fire up against his best judgment. A week later, on April 24, Daugherty Johnson, the Flint utilities administrator, was far more upbeat in his own email to MDEQ staff as he sought state approval to avoid working with Detroit for a backup water supply agreement. The next day, Flint River water officially became the city’s drinking water source. As I have said before there is certainly plenty of blame to go around at all levels of government---Federal, State and local for the continuing debacle that is the Flint water crisis. But in the final analysis the State of Michigan through the emergency manager program that authorized the switch over to Flint River water to save money and the MDEQ who followed the emergency manager's lead and approved the cost saving switch over despite glaring red flags and in the face of strict Federal guidelines and standard industry practice to the contrary. The State of Michigan and by extension Governor Snyder's office bears primary decision making responsibility for the Flint water disaster. And lack of proper oversight and too much emphasis on the bottom line is clearly a serious leadership error. If nothing else this proves you must be very careful trying to run government "like a business" especially when the health and safety of 100,000 people are at risk. Human health and human lives are more important than the bottom line. We can tell the Synder PR are at work. We need to counter their narrative. Keep up the good work. But when push comes to shove the only person who matters is the U.S. Attorney for the Eastern District of Michigan Barbara L McQuade. From the article: "A week later, on April 24, Daugherty Johnson, the Flint utilities administrator, was far more upbeat in his own email to MDEQ staff as he sought state approval to avoid working with Detroit for a backup water supply agreement. “As you are aware, the City has undergone extensive upgrades to our Water Treatment Plant and its associated facilities,” Johnson wrote. “Our intentions and efforts have been to operate our facility as the primary drinking water source for the City of Flint.” Obviously Mr. Johnson was seriously wrong. He doesn't have primary responsibility but shares enough of the blame for being so upbeat maybe even lying that at best he deserves to be fired at worst criminally prosecuted. And if he is fired and/or criminally prosecuted there are others in State government who need to be called on the carpet and fired or indicted---including Governor Snyder. The MDEQ told everyone interested that the switch to river water could be done safely. The switch was going to save money and since it could be done safely, why not? The MDEQ was wrong: it could not be done safely or they didn't know how to do it safely. The MDEQ ignored and attempted to diminish experts and others who in clear language told them that they screwed up. The MDEQ dragged their feet for a year and half before finally admitting that the water could not be safely consumed. There are other bit players in this drama, but the MDEQ was the only organization with the final authority to regulate Flint's water supply and they failed miserably. It's the MDEQ where we need to focus because they are so critical to our environment. If they don't do their job right, masses of Michiganders get sick and die. The decision making authority of the MDEQ needs insulation from the governor and the legislature. I think the department needs to be governed by an elected board, similar to the way our three research universities are governed. Their revenue needs to be from somewhere other than the general fund so that the department's revenue is no longer subject to the spending whims of the legislature and governor. This Bridge report explains: 1) MDEQ staff raised concerns about the Flint River (as the Flint River as a possible interim source was a clear possibility as evidenced by considerable state email communications at the time); 2) The state treasurer approved, with local support, the decision to ultimately switch to the KWA); 3) Soon after that decision, state and local officials began planning for the switch to the Flint River. Once the decision to ultimately switch to KWA, the EM, state treasurer, and local officials had a choice... They could try to stay on Detroit water until KWA was ready, or they could switch to the Flint River. Negotiations between Flint and Detroit broke down (there's plenty of room for debate about why that happened), so the Flint River became the drinking water source. State and local officials were both on board with the switch to the Flint River, as is clearly evidenced in the voluminous records included in the full Flint Disaster Timeline Bridge has published... http://bridgemi.com/2016/02/flint-water-disaster-timeline/. JG, Bridge welcomes the opportunity to study your concerns about a "major flaw" in this report. And we correct the record when we make a mistake. But I don't yet see the major flaw that concerns you. Please advise. A must read: http://www.michiganliberal.com/pure-michigan/epa-audit-from-2010-thanks-... The GOP wants to do the same to the EPA. Dirty air, dirty water; not to worry, industries will 'self regulate'. After discussing the numerous warnings about switching Flint's water supply, Mr. Bebow says, "But with cost concerns among the driving factors, the Flint River plan flowed ahead – directly toward disaster." Does he mean to say that cost should never be a concern in governmental decisions? Shouldn't any decision balance costs against benefits? If you are incurring greater costs than necessary for a given level of benefits in a program, aren't you depriving another program of resources that could be used to provide badly needed benefits? If one agency is spending $18 million to save a life and another agency can save lives for $6 million, shouldn't $12 million be transferred from the high cost agency to the second agency? Yes, this decision turned out disastrously, but that was because of failures on the part of government bureaucrats. As I recall, Professor Marc Edwards of Virginia Tech, said that if corrosion control had been properly instituted, there wouldn't have been any problem. So, while the Emergency Manager's decision may have been the ultimate cause of this catastrophe, the proximate cause was the failure to institute corrosion control. Was it unreasonable to expect the civil servants with expertise in treating water to apply that expertise in this case? In retrospect of course, it would have been wise for upper management to question those bureaucrats concerning their plans for the switchover. Particularly, those bureaucrats who misinterpreted the lead and copper rule, the same bureaucrats who stuck by their erroneous interpretation even under pressure and questioning from the EPA.